I've no affinity for it, no attachment, I'm not religious in any sense, I've never visited it and know * all about it's history. Yet here I am reading the news, seeing the pictures and just overcome with sadness. Jax Teller, Alan Johnson, LV426 and 3 others like this. Trumps a flying tanker. Cockney rhyming. Zanderama and Vertie like this. Main Structure has been saved. Minty and packybhoy like this. P.O'Neill, Jax Teller and Slaw like this. Some of the comments on here are hun like, even if you can't associate with catholisism or have any religious inclination why comment. in the same bracket as the "harvey" comments about morelas, tasteless and below us. Sydneysider, buchanbhoy and HoopSprings like this. Same, not a religious person, but it is a beautiful structure of serious historic significance. Hope it can be saved. Had a flying visit to the outside several years ago. Sydneysider and LV426 like this. stew37, Mince.Charming, Xatraps and 5 others like this. do you really need an explanation or are you just looking for a reaction?????? either way its not happening. Been quite a few attacks on French churches, recently. Wonder if this is related. Think he wants an explanation, because your comment makes no sense. stew37 and Cena like this. Some job by the fire fighters, the fire looked unstoppable I thought they’d have no chance saving any of it. Bonobhoy and Marty McFly like this. I’m surprised at the images from inside, candles still intact at the alter! Incredible. 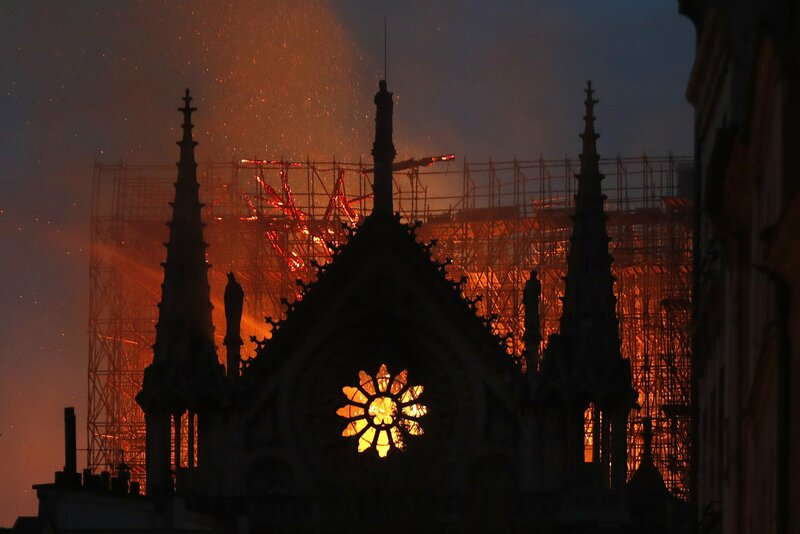 Great that the main structure was saved. The IRA and MacEwan23 like this.